“I was impressed with her knowledge. She would respond quickly to my questions, and never tried to rush me in to making a decision. She shared all the information needed and never imposed anything. 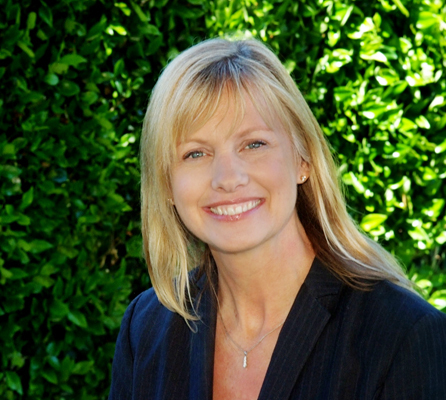 “ Melinda is an amazing resource and partner when buying/selling your house. She has great vision for space/opportunity. She navigates "the transaction" part of the sale easily. “I'm so happy to get a chance to write a review for Melinda after the fantastic job she did selling our home. I can say with all sincerity that Melinda is the best of the best. She delivers everything you could possibly want from an agent. First and foremost, she has a trait that is all too rare among the real estate business: she is honest. She tells you what you need to hear, and she does what she says she will. “We were looking for a realtor to sell my mothers home in San Jose and, with us being from the Central Valley, had no knowledge of anyone. We sent out a "realtor needed" e-mail to Coldwell Banker and Melinda Gedryn answered it within 24 hours. She had extensive knowledge of the area, what buyers were looking for and what we needed to do to make "this old house" a warm and inviting "home". She worked within our schedule and budget, doing some of the labor HERSELF, to get the house ready for sale. She is extremely personable, knowledgeable, honest and open minded. She was not afraid to "get her hands dirty" to help us stay within our budget. If your goal is to get a GREAT realtor then Melinda Gedryn is the one for you. "Melinda Gedryn was our agent for the sale of our first town home. She did an AMAZING job representing us! We highly recommend her for any business of selling or buying a home. Melinda did an excellent job explaining the processes and options available to us in speak easy terms. We felt extremely informed and confident in the decisions we made with the information she offered. Her sales tactics met and exceeded our expectations. Melinda was easily obtainable at a moments notice, worked well with our family’s needs (we have twin toddlers), and had a fantastic rapport with clients and fellow agents. Her professional and approachable personality was the reason we were able to sell our town home so quickly." "I had the pleasure of working with Melinda Gedryn to both sell my previous home and to purchase my new home. Melinda is an extremely warm, knowledgeable and hard-working real estate agent. She is so capable of getting things done for her clients in record time due to her experience and to her extensive list of resources. She is a warm, calming energy and an extremely good listener when it comes to her clients’ concerns. Melinda is also not afraid to get her hands ‘dirty’ if there is work that needs to be done. I highly recommend anyone who is selling or purchasing a home to contact Melinda Gedryn. She is an amazing woman and spectacular realtor." "Thank you for your hard work in helping find a buyer for our home. Your gentle manner helped ease us into the next step in our lives"
"Tom & I would like to thank you so very much for all the work you did to help us buy our first home. It really means so much how often you went out of your way to find what we were looking for. Thank you for all the help with the roof, our loan and even sanding. We love our home and we are making some good progress, it is definitely something we have enjoyed and still enjoy working on. Again, thank you so much, come visit whenever you feel like!"